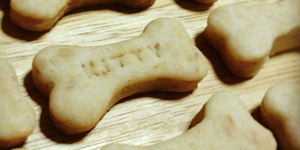 Because we love your pets as much as you do, our only mission is to provide freshly-baked, nutritious and delicious wholesome treats for them. With all-natural, premium human grade ingredients that are cautiously selected, our treats and cakes are the best for your beloved friends that will make their tails wag so hard and beg for more. We care deeply about your pets’ health and well-being. We also understand how hard it is for you to tight the urge to give them delicious treats just because they have some health issues. That’s why we work so hard on finding the best ingredients that will be most suitable for the specific medical needs of each individual pooch. Tell us their health status and let us bake the best treat for them. We will make them content and as happy as a dog can be. We are your pet party headquarter. Whether it is Barkday party, Welcome home party, Puppy shower, Wedding party or any other party for your furry friends. Cakes, pupcakes, fancy biscuits, cards and decorations we have them all! Let us be a part of your family’s lifetime memories that your best friends will give all 4 paws up!